This Saturday! 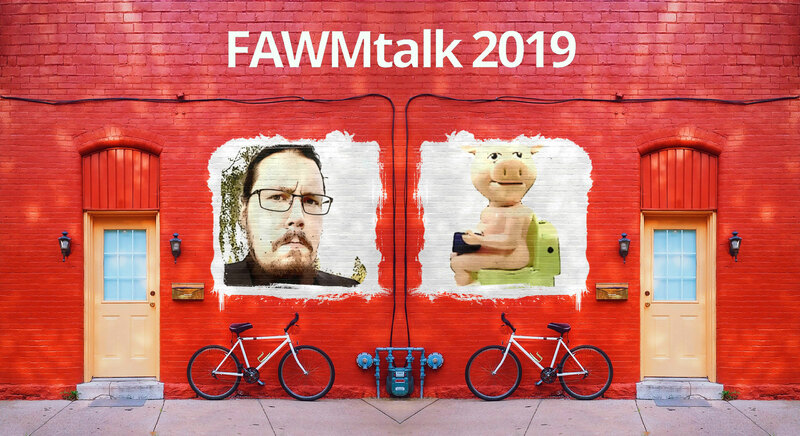 (Jan 26th, 4 P.M. CST) is going to be the FAWMtalk Pre-Show. Check the forum post for details! New year. Looking forward to FAWM. I bought Spire. I bought Melodyne. A lot of cool new sounds and tools. Excited to get started. So many ideas... but as we know, plans rarely work out. So, I'll just see how it goes when the first of Feb comes around. Don't know what's in store for 2019. But I'm already excited. 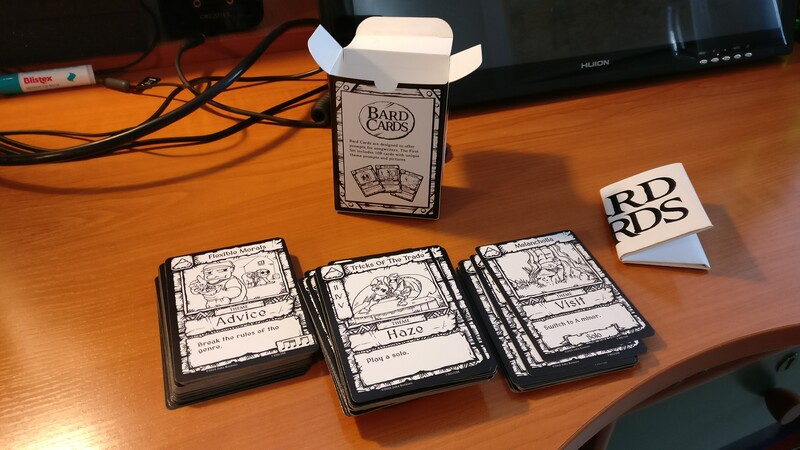 However, I just dropped the price for Bard Cards. They're a fun songwriting prompt game and now only $24.99. Wow, thanks for the thoughtful comments on my Dismantling Jam. I’m impressed you listened through. It’s a fun/weird/surprising instrument to work with, if you’re into that sort of thing. Thanks for putting one of my songs on FAWMtalk! Wow hey thanks for using liquid life on your podcast!!! I'm honored!! Hi Juha, good to see ya again. I'm knackered tonight; next Monday would be better, if you don't mind. Already have Discord set up. Thanks for featuring the tune! Hello! I just wanted to say thank you for the work you put into creating the Bard Cards. Two of my seven songs so far have started from cards, and I feel far less worried about running out of inspiration knowing I have them. Well done! Really loving your work so far this FAWM. I look forward to hearing what else you have in store. Good luck! Heyy thanks for your comment 😀 You're a seasoned FAWM-er I see, do you have any tips? Thanks for the play on your FAWMtalk episode. Unfortunately I was stuck in bed with the flu when it was on so didn't manage to pop along. I will give it a listen when I get the chance. Thanks again. Thanks for the great comment on my Flying Saucers as well as using it in the latest episode of FAWMtalk. I really appreciate the support! I am up for a collab with you. I think our styles mesh well. Let me know if there is room on the dance card! I do lyrics. Maybe some would work for you. No, foom on aina ollut vähän liian hektinen minulle, kun pitäis töissäkin käydä samalla. Biisejä kyllä tulee, mutta demoissa menee ikuisuus. vifti nainti sälens on kivempi, kun on kesäloma ja aikaa. Tähtään 8-10 biisiin. MItes ite? Have a Fast and Fertile Fawm 2019. BTW, just listened to many of the tracks from Aurora. That's a great unit of work, brother. You might hear some synthwave from me this year. And by might, I mean you will. Thanks man! Much appreciated. Happy Fawming! It's in German and my blog is read by approximately three people but I wanted you to know anyway and also say thank you! What you wrote inspired me and I'll keep experimenting with it. Welcome back! Looking forward to your work this year!